Toronto, November 13, 2012: Building collaborative relationships with client partners is a key component of the ITC Systems approach to campus card solutions and the companys Preferred Partnership program now puts a system within reach of smaller institutions that might not otherwise be able to afford one. 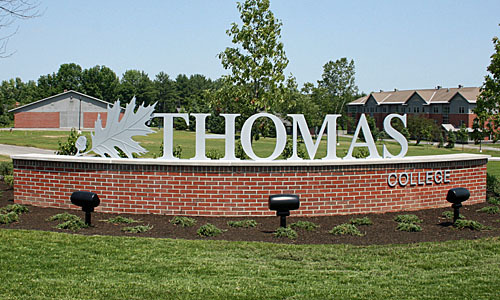 Thomas College in Waterville, Maine, is one such beneficiary of the partnerships program. Thomas College has an undergraduate enrollment of fewer than 1000 students, says ITC Systems Campbell Richardson. When they expanded their campus café bookstore they wanted to allow students to use their student card to make purchases. ITC Systems personnel worked with the colleges Vice President of Information Technology to develop a solution that met the schools criteria for successful implementation. The VP coordinated all requirements with both the College Administration and the Food Service Provider, and worked with the ITC Systems Support Technicians to install the system. ITC Systems provided two cash registers that will process transactions through either credit cards or student cards. The ITC Systems MultiPlan software program allows college personnel to manage the program and import data from the colleges student information system. Installation and training were conducted remotely in order to complete the project as economically as possible. Were pleased that we were able to meet Thomas Colleges need for a new campus card system and were especially happy to help them build on their reputation for quality and effectiveness in education, Mr. Richardson notes. ITC Systems is an international company specializing in cashless Integrated Transaction Control Systems. The firm designs, develops and implements state-of-the-art cash card management systems on university campuses and in public libraries, government departments, food service environments and other closed institutional settings. With offices in Toronto and St. Louis, and an extensive network of distributors, dealers, agents and service contractors, the organization offers the most flexible and comprehensive online and offline card systems on the market today.